The success of Instagram keeps on proving the fact that niche promotion is the future of social media market. It’s been long back that Western market leaders have predicted that social media start dividing not only by the type of audience, but also by the type of content. 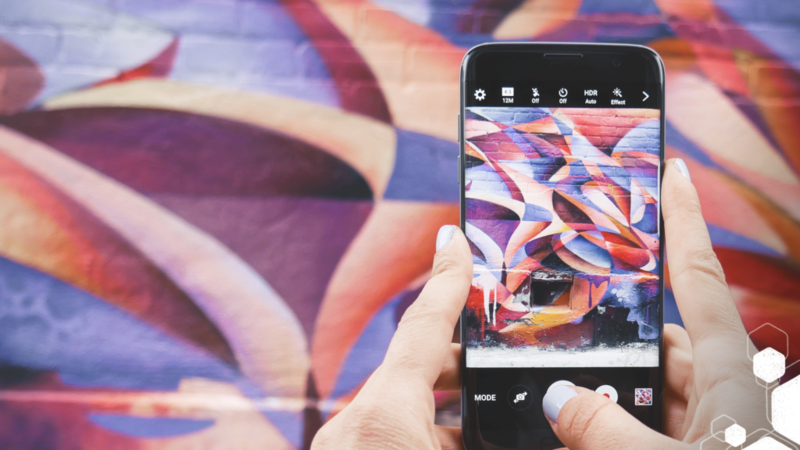 Visual content social media like Pinterest or Instagram are now on their boom, but only Instagram has become a real success story and a real platform not only for personal use, but for all types of businesses. So how to promote your clothing brand on Instagram? 1. What is your promotion strategy? 2. Content of your account. How to fill it? 3. How do you use hashtags? 4. Contests among your subscribers. What is a hook for your audience? What makes your subscribers come and visit your Instagram page? What do your competitors do and how do they feel on Instagram. Are they popular? What attracts your possible clients? What services to they propose and how do they sell? What strategies do they use for Instagram promotion? How do their subscribers react on their actions? Do they leave comments and likes? What activities do you think you can propose to your subscribers? Content of your account. How to fill it? Do not forget that the brightest, the juiciest and the most eye-catching photographies are a key to your success. Even when it might be not your potential client, a really good picture is hard to miss when one is giving likes. Your task is in creating the album which will be interesting to check for your target audience. Involve your subscribers: think of some bright story or create a storyline, so that your subscribers feel thrilled to follow it. Think of a topic and of a story to be narrated through your account from day to day and develop a unique recognizable style. All these factors define the style of the account and make it recognizable. Remember to work in one style – if the first images in your account were made with a professional camera, being bright and easy-to remember, the style of the subsequent content must be corresponding. Experts say that pictures expressing joy and cheerfulness, being shoot on a light background, will get 30% more likes than those having a dark background. Why not to try? It’s hard to build your brand without using hashtags. Major part of your audience uses them and searches through them. We advise you to use special automatic tools for picking the most relevant hashtags on your topic. Use the most trending hashtgs in your field and do not forget to develop your own ones – those containing your brand name or something absolutely unrelated to it. Inform your subscribers how to find your brand through unique hashtags. One of the main things that make Instagram contests stand out is involvement. Instagram contests promote your audience participate and give positive feedbacks. By taking simple steps as a part of your contest, you can see engagement and participation even of those who were not much interested in your brand before. Although, everything is in your own hands – if these users find the info on your profile interesting, they can become your loyal clients. Probably you won’t succeed dragging a lot of audience to participate in your contest from the first try. We advise you to engage a popular blogger, a fashion expert or someone else with a lot of subscribers to promote your campaign. Remember that the contests must be first of all interesting to your subscribers. If it is so, such organization will create a high quality good traffic, supplying you with a good content (pictures of your happy clients in your brand clothes, etc. ), which you will be able to use weeks and months later for self-promotion of your profile. Nothing feels so good as reposting of some photos from your subscribers’ profiles. Ask them permission to repost the best photos, tag them, like them, comment them – and you will get the most loyal audience. This approach helps a lot of accounts to build up their audience without huge amount of investments. One of the easiest ways to find your own loyal audience is giveaways. Send gifts to your most loyal subscribers and enjoy getting positive feedbacks from them. Most of them will volunteer to leave positive feedbacks in their own profiles, and all you have to do is to thank them and to use these pictures for your personal brand promotion! We wish you Likes and Thousands of Subscribers!